China's top legislature has approved the cabinet nomination of Wan Gang, a non-Communist party member, as the country's new minister of science and technology. Also on Friday, Yang Jiechi was appointed new foreign minister, replacing Li Zhaoxing. Xu Shaoshi replaces Sun Wensheng as minister of land and resources. 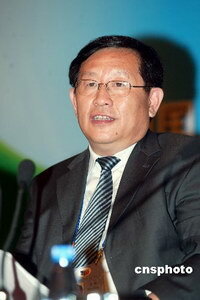 Chen Lei was appointed as minister of water resources, replacing Wang Shucheng.